Unlike the situation in many other countries, the televising of court proceedings has not been a central feature of the English Legal System. There are signs of significant change on the horizon. First, the Supreme Court has already decided not only to let television companies make documentary programmes about its work (see this blog Feb 2011) but also to enable Sky TV viewers to see full broadcasts of its proceedings. For further details see http://news.sky.com/home/supreme-court. Second, Justice Minister Ken Clarke has announced that limited televising of proceedings will be allowed. Initially this will be limited to the Court of Appeal where filming will be of judges’ summary remarks only; victims, witnesses, offenders and jurors will not be filmed. He has stated that this may be extended to the Crown Court at a later date. This second step will not take place overnight, however. Legislative change is required to repeal Section 41 of the Criminal Justice Act 1925 and Section 9 of the Contempt of Court Act 1981, which currently forbid the broadcasting of court proceedings. See further http://www.justice.gov.uk/news/press-releases/moj/moj-newsrelease060911a.htm. 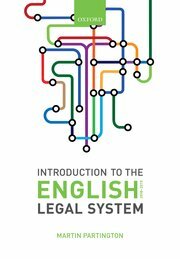 One consequence of these developments may be that members of the public who think that most cases are heard by courts will be reinforced in this view, whereas readers of the book will know that in every area of the law, save perhaps family law, great number of issues are disposed of outside court proceedings. Nonetheless, I welcome this development and suspect that in a year or two people will wonder why we took so long to reach this position.